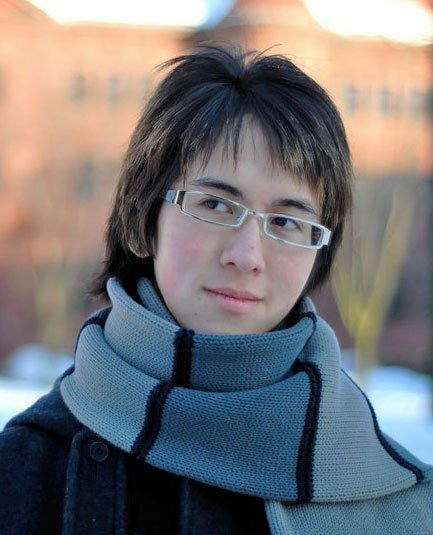 We’re awash in superior young pianism (older too, actually). Dozens of young adults from numerous countries have keyboard chops of the very highest order in support of mostly thoughtful musical approaches. But if 24-year-old Charlie Albright, who gave the first of three all-Schubert recitals (the first set of “late” Impromptus, then the B-flat Sonata) last Sunday afternoon at the Isabella Stewart Gardner Museum, is not indisputably first among equals, he seems to me unsurpassed, anyway, and on the top tier. I will be surprised to hear another performance at this level very soon. It was gripping, frankly, both spellbinding and spellbound, quite unlike most such solo recitals I’ve heard over the decades. Much of that response was also due Schubert, of course. Why are we in this time of such increased keen interest in late Schubert piano works, so profound and so profoundly strange? Is it because it newly speaks to many of us at an inchoate time of life in this culture, and does so at such intense and determined length? Many recent critical tropes remain the aptest descriptors: it is altogether true that the music is sad, ineffably so, stirring, ineluctably melancholic, spent, resigned, with outbursts and other abruptions every which impatient way, agitated even while fleeting. Rather like life, one supposes, to those who feel life is fundamentally labile and, if not registering doom, almost always is lived to some extent in the red. In the first Impromptu, the famous and tragic (Wellesley professor Charles Fisk’s adjective) C-minor, Albright was clearly interested in demarcating several aspects, to a bit of an extreme. The military opening (which recurs, naturally) was more marching-staccato than many do it. The exhaled and exhaling A-flat episode (of ‘halcyon but essentially irretrievable memory’, in Fisk’s fabulous phrase—irretrievable memory, what an idea, since in Schubert you’re always thinking “Did I not just hear this?” and, more troublingly, “Where have I heard this?”)—was ravishing, limpid, even more singing than the norm. I instantly judged that this is a major lyrical and songful pianist, teen appearance to the contrary (Albright is slight, winning, seemingly not needing to shave yet, and with a true Beatles bowl cut), and I hoped it wasn’t all going to be merely gorgeous playing. Soon it was entirely evident that Albright got it, has important viewpoints, can impose without effort his will to say what he wants to say, never missing those subtler breaks with aching modulations. (Another true reviewer cliché: When Schubert has something sad and important to say, he uses the minor; when he has something really sad and important to say, he goes to the major.) Albright knows inwardness and the playing feels emotionally wise. Here, and constantly afterward, Albright pedaled with unusual care, across bars and chords, ever so slightly and purposefully smearing Schubert’s weirdly dissonant consonances. I wish he’d clanged those two openly voiced 2-note chords toward the end; I hear them as a nod to Beethoven’s similarly keyed opus 111 from five years earlier, which had the only other such clanging examples at the time. Overall it was a strong and balanced and complete performance of this concealed theme and variations, from which there was for me much to reconsider. The final measures, which close the recently surging, thundering previous material with Mozartean clarity, were played as gently as a piano can do. The three black-key Impromptus flew by, leggiero and silvery except where not, in the darker, heavier middle moments. Albright contrasted lyricism of the greatest beauty with drama and portent, all in an unobvious, unobtrusive, unrushed and again cannily pedaled way. The E-flat was pointed, the G-flat had luftpausen, the A-flat bigger and showier. For the first time I heard some prescient echos of Chopin, and wondered what Hummel had conveyed to Chopin about this guy Schubert and whether Chopin heard any of this weird music when he wowed Vienna with his own weird music nine months after Schubert’s death. The Gardner’s Calderwood towering cubical space rings loud and clear (and is dry-sounding despite its spareness and hard surfaces), and that big new German Steinway clangs lusciously while looking like a fancy new-car ad. Then the B-flat Sonata, written a year later than the Impromptus and a couple months before Schubert’s death: is it overexposed in recitals these days? Probably. No matter; this was rare keyboard musicianship, interior, also remote, full of unease, a lonely wanderer in outer space sending back messages from other worlds. Albright was fully present and on top of things, attentive to his own performance, in complete command and control of his fingers, able to make things go just as he decided. That may read as silly or worse, but I find it common enough to feel the opposite during many piano recitals. Pedaling remained expert, a perfection of smudges; rubato was integral, any momentary overinflection likewise integral; likewise possibly excessive arpeggiation. Feathery touch was never employed for its own sake. In Albright’s hands that relentless and surpassingly griefstricken (or whatever it is) second movement made for a poignant experience—some say the heartache turns to something like hope with that aching modulation to C major, but I don’t much hear it that way—such as one seldom has in the concert hall, or anywhere else. Another first for me was not wincing when the third movement started. Albright somehow made it follow, and the final movement too, continuing as necessary further episodes in one long work. In disarming remarks beforehand, Albright acknowledged he may not really be mature enough for such a recital. Lovely technique aside, Charlie Albright’s psychological senses, heart and soul, were manifestly advanced enough to meet a challenging program. I can’t wait to hear the live recording if the Gardner posts it. After Schubert, Albright’s encore was a sensational F-sharp improvisation—Grieg meets Scriabin as told to a sped-up George Winston. It too approached jawdropping status, but I would urge losing it, substituting a simple Bach prelude and fugue instead, as this improv broke the rapt near-religious spells we had all been under for so long. I second David Moran. I admit that when I saw Charlie Albright’s picture in the Gardner’s brochure, where he looks about seventeen (he is now twenty-four), I thought “you shouldn’t play Schubert’s last sonata until you have outlived him.” Now I am very glad I did not have to wait eight more years to hear Charlie Albright hear the sonata in B-flat. I also agree about the encore, except I think the best choice of all would have been nothing. A few years ago I heard András Schiff play Beethoven’s last three sonatas at Carnegie Hall, and though the applause was thunderous and he was brought back to the stage many times, he did not play an encore. We did not expect one, nor even, I think, want one; it seemed only right to let Beethoven have the last word. Schubert’s last sonata deserves similar reticence. Thanks; glad someone else heard this program (not a sellout by any means). Totally agree about no encore and should have written so. Crazy to do anything after B-flat, and Schiff was right to demur re op 111 (though I’m no fan of his rhythmically weak playing). Modern recital expectations, I guess. And at twenty-four, if he had refused an encore it might have seemed like arrogance, rather than humility. At any rate the improvisation was a great crowd-pleaser, and showed off his pure delight in making music. Point taken. And I am discovering from researching his career that he does this sort of thing all the time, loves to, always has. also reports that after a Beethoven concerto with Chicago he returned to the stage to take a bow in his overcoat and homburg. My favorite encore story about Schnabel may well be apocryphal, although certified to me by an expert pianist and a good friend. Schnabel had played a recital in Wanamaker’s store in Philadelphia and was annoyed by all the rustling of candy-wrappers and whispering among the audience, so after the concert he returned to the stage and played the entire Diabelli Variations of Beethoven — with repeats. Arrau also never played encores. Another apocryphal encore story, paraphrased from Harold Schonberg’s The Great Pianists: when the young Rudolf Serkin gave a recital to tumultuous applause in Berlin, he was still early enough in his career to be uncertain what to do next. He turned to his father-in-law, Adolf Busch, and asked for a suggestion for what to play. In jest, Busch suggested the Goldberg Variations. By the time Serkin was done playing same, there were three people left in the hall — Busch, Schnabel, and Alfred Einstein. “Arrau also never played encores.” Sure he did, at least in the 5 or 6 Boston appearances I got to hear from 1975 on. I remember one in particular, an enchanting piece I’d heard before but couldn’t place. As I was leaving, I asked a friend what it was. He wasn’t sure, but Craig Smith, standing nearby, overheard and whispered ‘Gnomenreigen’. Serkin himself reported the Goldbergs anecdote, so it’s not apocryphal, really. Of course the point is not piano recital encores but whether and what (not) to play after the last note of Schubert. The final modulation in the second movement is to C-sharp, not C.
Huh? Am I (and everyone else) missing something, Carl? Don’t know the page number because I didn’t download it, just opened it; it’s the same as the Dover edition filch. Look for where the Scherzo begins and then check the page preceding. Or perhaps you’re saying this is not really a true modulation or something? I don’t know how it could convey more heartache. What was it Adorno wrote about Schubert, ‘We weep but don’t know why’? Ah, maybe now I understand your point. Sure, the *final* modulation returns us to the closing key of the movement (yet another heartache, or something). But of course I wasn’t talking about that one.